The Winnipeg Jets’ new third jersey received mixed reactions to say the least. Here, Orion Taylor tries out a couple of other options. What do you think? 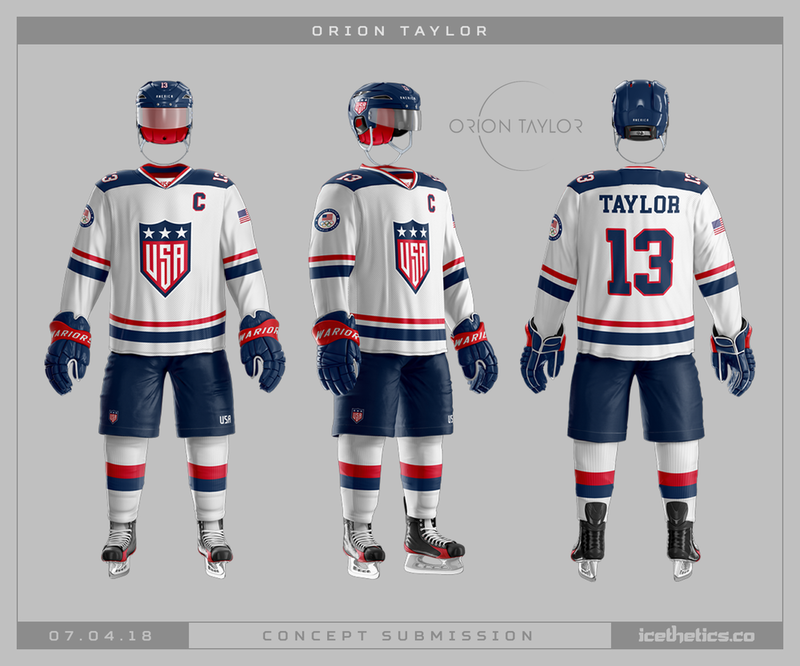 Orion Taylor never seems to disappoint and his latest concept is another winner. Anyone else hoping the Canucks ditch the orca in favor of Johnny Canuck for their 50th anniversary? 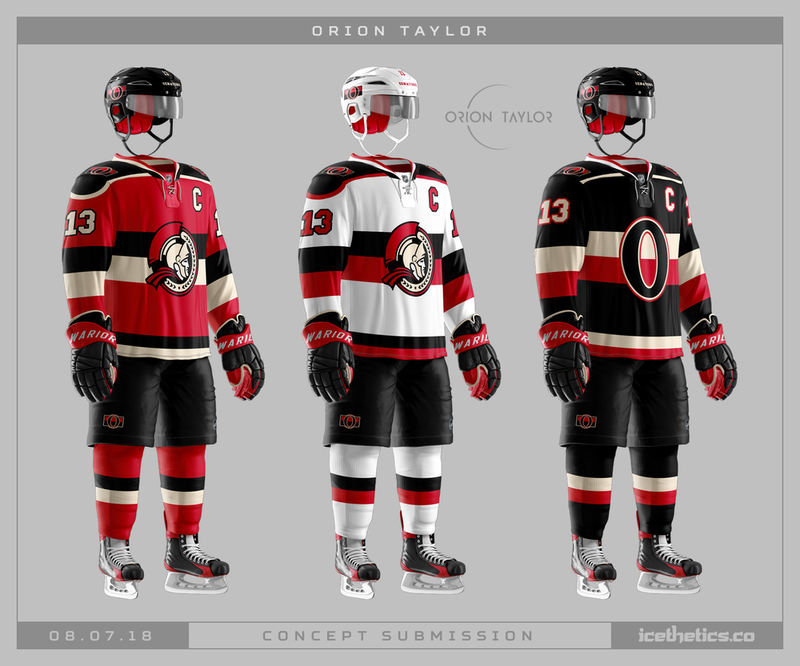 Every once in a while I like to remind us all that the Ottawa Senators can look so much better than they do. Orion Taylor give us yet another example of that fact. Excited to hear about the alternate jerseys coming back next season! I’m banking on Winnipeg's having a retro look to them — maybe like the Outdoor Classic! Anyway, I made these for fun with a logo I had been playing with a bit! Uses the Avro Arrow — a jet made in Canada, but never made it to full production. A few changes were made like eliminating curves in the lettering to give it a more military feel. Also updated the colour palette to the current Jets’ colours. Happy 4th of July! 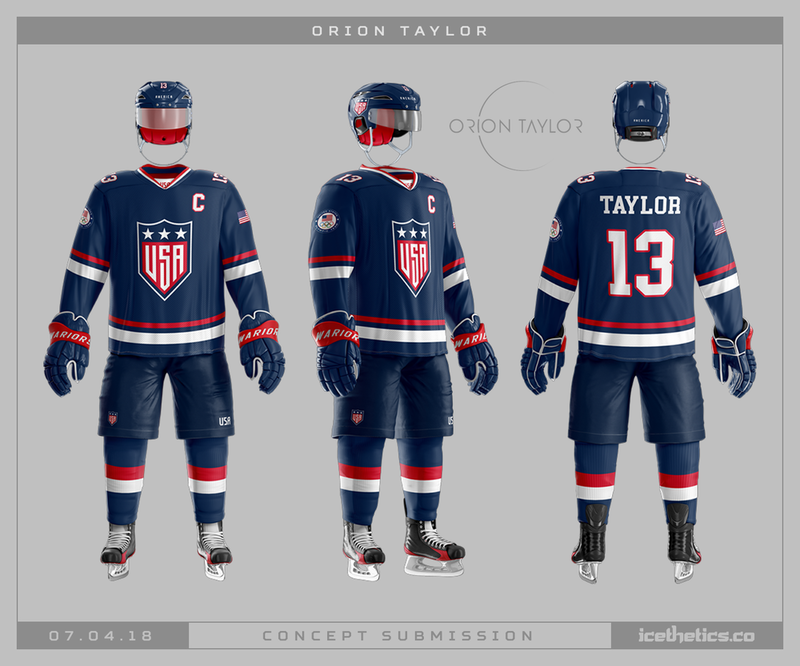 Orion Taylor offers up a cool new look for Team USA today.